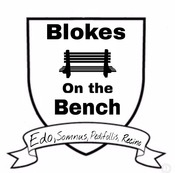 Blokes on the Bench Host Andy Richardson and the rest of the blokes discuss all the weekend fixtures starting with a surprising victory at London Stadium, as West Ham hammered Chelsea. Spurs thrashed Stoke at Wembley, Swansea got a much needed victory against West brom. Hudderfield take on Brighton at the John Smith Stadium and beat them! Crystal Palace drew to Bournmouth, Burnley beat Watford at Turf Moor. Meanwhile, in Tyneside land, Mike Ashley hasn’t said “Why aye man!” to a take over of the club by Amanda Staveley, but did treat her by taking her out for a curry! That didn’t help Newcastle though, they got beat at St. James by Leicester City, Southampton drew to Arsenal, and, of course, what everyone had been waiting for, the Mersyside Derby in which Liverpool were expected to win but drew to Everton, and the Manchester Derby, where Manchester United was beaton by Manchester City! Blokes on the Bench Host Andy Richardson and the rest of the blokes have a lot of results to get through, with midweek games including the Manchester City Vs Southampton thriller, with Raheem Sterling star of the late late show again! Are they unstoppable? Also, Arsenal smash Huddersfield at the Emirates, Stoke get thumped by Liverpool, Everton come back from the brink with Rooney the star of the show, plus Ashley Young the man of the match for Manchester United as they beat Watford at Vicarage Road. Then this weekends results: Chelsea beat Newcastle at Stamford bridge and Hazard in top form this season, West Brom get a draw against Crystal Palace, Brighton host Liverpool who walk all over them and the game of the weekend Arsenal took on Manchester United. That and all the rest of the fixtures, plus World Cup draws to talk about. Blokes on the Bench host Andy Richardson and the rest of the blokes discuss this weekend’s action,which started on Monday with a thriller of a match with Brighton taking on Stoke at the Amex stadium, then the weekend games kicked off with West Ham taking on Leicester city at the London Stadium, where at least David Moyes managed to nick a draw, and therefore a point! Yay West Ham! Spurs had an odd game by drawing at Wembley Stadium against the mighty West Bromwich, Swansea played Bournemouth for a draw, Watford came to St James’ park, and done over Newcastle proper! Manchester United continue their run of exciting football by beating Brighton 1-0, Crystal Palace beat Stoke at Salhurst park, Liverpool drew with Chelsea with a pretty even game, Southampton do over Everton, who continue to look like an out of control dumpster fire, Burnley fall at the last second to Arsenal at Turf Moor, and then finally Huddersfield put up a brave fight, but fail to stop the unstoppable Manchester City at John Smiths Stadium. All these games plus our Twitter polls, and Alex’s car alarm going off! It was a busy week of results to get through! Blokes on the Bench host Andy Richardson and the rest of the blokes are back with two weeks without any Premier League, that’s 14 days or 336 hours! Thankfully the weekend got off to a bang with the North London derby between Arsenal and Spurs at the Emirates. Tottenham were the favorites going into this fixture, but got thumped 2-0, Chelsea continue to silently make their way up the table with a 4-0 spanking of West Brom, Liverpool steamroll Southampton while Manchester City continue on their winning ways, by taking on and beating Leicester City. Crystal Palace played Everton in an exciting 2-2 draw, while Burnley get all 3 points at home against a Swansea side in trouble. Bournmouth beat Huddersfield 4-0, Manchester United have Pogba and ZLatan back in a 4-1 thriller against Newcastle at Old Trafford, and Watford out played West Ham 2-0 at Vicarage Road, Plus our twitter polls, and looking ahead to Mondays clash between Brighton and Stoke at the Amex Stadium. Blokes on the Bench host Andy Richardson and the rest of the blokes take a break from the EPL as its International break time. Topics include: N.Ireland and the penalty awarded to Switzerland during the first leg of their World cup qualifier, England taking a risk against Germany plus a run down of all the other games taking place. Plus, just who is the Worlds best football manager? We find out in our Twitter quick show poll and Andy adds pepe (whoever he is) to the shortlist. Blokes on the Bench host Andy Richardson and the blokes talk about the world of soccer. This week: With all eyes focused on Sunday’s games, some entertaining games got underway Saturday: Crouchy helps Stoke pull back a draw against Leicester City, Swansea continuing their bad form at home to Brighton, Newcastle were unlucky to lose to Bournemouth, and problems still riddling Bilic at West Ham lose at home to Liverpool, and that’s just the Saturday games. Spurs kicked off Sundays games with a win at home to Crystal Palace, a club in the middle of the relegation zone, Manchester City with another convincing win, this time over Arsenal, and even with rumors surrounding Conte leaving Chelsea, and a loss in Europe midweek, still beat Manchester United, but saving the best game until last, Everton come from two goals down to beat Watford, so lots to talk about! Blokes on the Bench host Andy Richardson and the blokes talk about the world of soccer. This week: Super sub Martial wins it for Manchester United against Spurs to keep the title run going, City just keep on winning, Kolasinac lead Arsenal to come from behind against Swansea, Zaha scores in the 97th minute to earn Palace a point as questions about Bilic continue, Liverpool bounce back against Huddersfield, Chelsea earn their first win on the road since the Palace shocker, and Claude Puel gets his first win as Leicester manager as turmoil continues at Everton. Blokes on the Bench host Andy Richardson and the blokes talk about the world of soccer. This week: Newly promoted Hudderfield produce the upset of the season beating Manchester United 2-1, Spurs beat Liverpool for the first time since 2012, Arsenal crush Everton after they go a man down, Man City exert their dominance over Burnley, and Chelsea come from behind to beat Watford in a thriller. The blokes are Andy Richardson, Mark Coffman, Alex Gomaa and Christian Galdencio. Blokes on the Bench host Andy Richardson and the blokes talk about the world of soccer. This week: United park the bus to earn a point against Liverpool, Crystal Palace regroup after the international break stunning Chelsea to get their first points of the season, Man City dominate Stoke, Spurs get their first win in Wembley, and Arsenal stumble on the road against Watford as Watford moves into the top four. 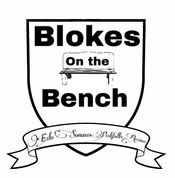 Blokes on the Bench host Andy Richardson and the blokes talk about the world of soccer. This week: Will the Arsenal vs Chelsea London derby live up to its name? Who will sit on top by Sunday? Blokes on the Bench host Andy Richardson and the blokes talk about the world of soccer. This week: Back after international break, will Manchester United, Manchester City and Liverpool continue with their great form? Also lots and lots of Arsenal that Mark wants to get of his back. The blokes are Andy Richardson, Mark Coffman and Alex Gomaa. Blokes on a Bench is heard on WPVC 94.7 Sunday evenings at 6:00 p.m. The station is looking for volunteers. Blokes on the Bench host Andy Richardson and the blokes talk about the world of soccer. This week: Chelsea are League Champions, but with a lot of high scoring games this Championship / survival Sunday the 16/17 Premier league season went out on a high, but who will get top four? We’ll be back Sunday August 6th for a special show, and Sunday August 13th for the 17/18 season kick off. The blokes are Andy Richardson, Ryan Gregg, Mark Coffman, Jeremy Lamm and Alex Gomaa.